March winds and April showers bring forth May flowers, according to the old rhyme. We actually had a very dry, sunny April, but nevertheless, we do indeed have a beautiful display of flowers now that May is here. The quince tree hasn’t quite made it to full bloom yet, but we have high hopes. 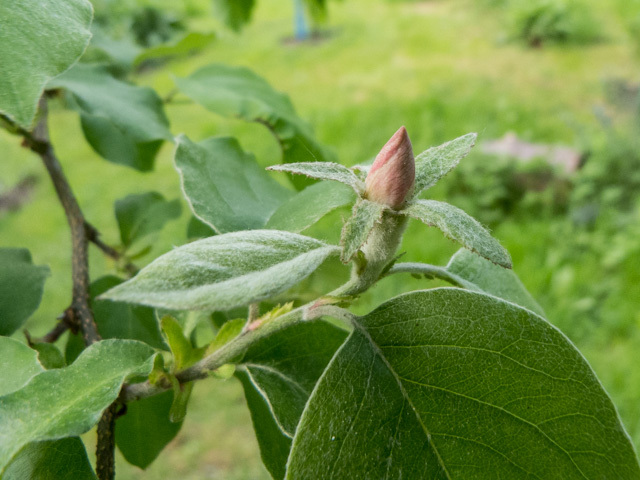 It’s the third spring in the garden for the quince, and this is the first time it has shown any sign of having blossom, so we’re looking forward to seeing how it looks. Also, with luck, looking forward to some fruit. Plenty of other flowers are already looking their best. I think that some of these might be considered weeds, strictly speaking, but we don’t tend to worry too much about that. The cowslips in particular have been amazing this year, springing up all over the garden. 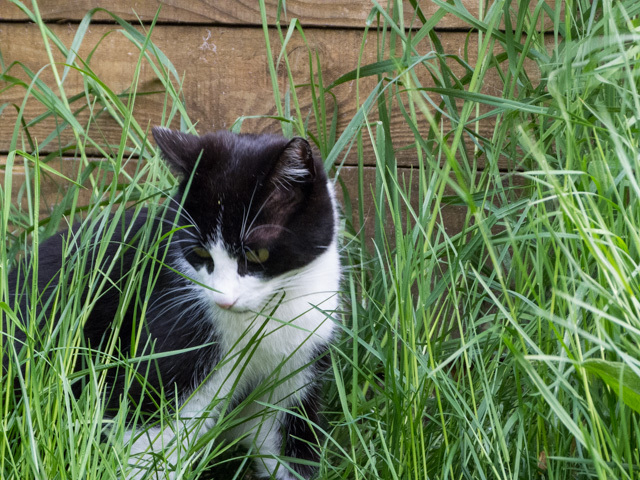 The one downside of the mild spring is that the grass is growing at a furious rate. We’re experimenting with keeping more of it long this year, and just mowing some paths through it. I’m not sure that Sophie entirely approves though! At last, possibly some quince blossom!